Historically, cancer biomarker discovery has focused on mutations in genes (think germline BRCA mutations or IDH in glioma) or the presence of overexpressed proteins that determine whether targeted drugs will work (e.g. EGFR inhibition using gefitinib). Given the complexity of cancer, it’s arguably unlikely that single molecules will work as clinically meaningful biomarkers for cancer. Today, biomarker discovery involves detecting patterns – characteristics or phenotypes that can be measured and monitored throughout a patient’s journey. Here, we look at two approaches being explored in this evolving field. Daniel De Carvalho, PhD, at Princess Margaret Cancer Centre in Toronto, Canada, has combined liquid biopsy, epigenetic alterations and machine learning to develop a blood test to detect and classify cancer at its earliest stages3 when treatments can be more effective. The researchers tackled this by using a sensitive immunoprecipitation approach to capture all the DNA carrying methyl groups (the methylome) within the circulating cell-free DNA. This allowed them to enrich the circulating DNA sample for the genes of interest, reducing the time and cost of sequencing. They then used the methylation profile from different tumor types to train a machine learning algorithm, to create classifiers that could be used to detect an early stage cancer from a blood sample. “This basically turns a “one needle in the haystack” problem into a more solvable “thousands of needles in the haystack”, where the computer just needs to find a few needles to define which haystack has needles,” explains De Carvalho. T cells play a critical role in adaptive immune responses including pathogen elimination and tumor immunosurveillance. The development of drugs and therapies regulating activity of the T cell receptor require assays to profile T cell function and health. 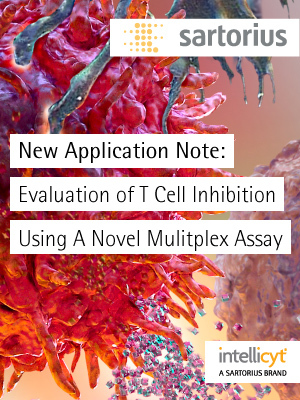 Download this application note to discover how to rapidly monitor T cell function, and perform long-term activation assays and phenotypic drug discovery. In Australia, Jeremy Nicholson, PhD, is taking a different approach. As Director of the new Australian National Phenome Center (ANPC), his goal is to optimize patient journeys by using metabolic phenotypes as biomarkers of treatment response. He argues that the cancer biomarkers field has now moved beyond classifications of disease and that we need better markers and models that predict risk and outcomes instead. “Another emerging area is in understanding the role of the microbiome in carcinogenesis, especially in gastrointestinal and liver tumors,” says Nicholson. “Here we would expect the metabolic phenotype to be very important and a powerful predictor of prognosis and treatment response.” At the ANPC, they are studying humans in the “total environment” – focusing on the gene, lifestyle and diet interactions that create disease risks and the metabolic phenotypes that go with them. For many years, research into biomarkers has focused on finding genetic signatures or over-abundant presence of molecules on tumors from samples. In some cases this has proven successful – such as the discovery of isocitrate dehydrogenase (IDH) mutations in gliomas that serve as biomarkers for IDH-targeting drugs. But these examples are rare, and the complex phenotype of cancer suggests that more complex models and markers will be needed to truly have clinical impact in cancer care. 4. Balog J, Sasi-Szabó L, Kinross J et al. Intraoperative Tissue Identification Using Rapid Evaporative Ionization Mass Spectrometry. Sci. Transl. Med. 2013; 5: 194-193. 5. Takats Z, Strittmatter N, McKenzie JS. Ambient Mass Spectrometry in Cancer Research. Adv Cancer Res. 2017; 134: 231-256. Running in parallel with advances in 3D cell culture is the growing use of human cells derived from induced pluripotent stem cells. Researchers are interested in testing drugs in the most physiologically relevant models possible, so, it was only a matter of time before these two approaches converged – providing optimized systems for disease modeling and drug toxicity testing. To improve cancer survival rates, pharma and biotech researchers must develop safe and effective therapies to treat not only primary tumors, but also metastatic growths and tumors that have acquired resistance.